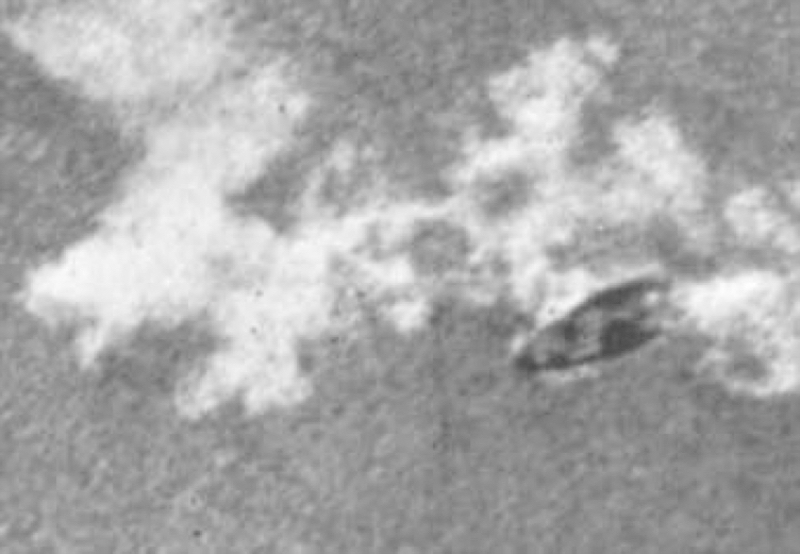 UFO III INCIDENTS -- THE MYSTERIANS --- The below sightings have been proven to be authentic, note the different shapes of the craft -- does this mean different alien species are visiting EARTH? 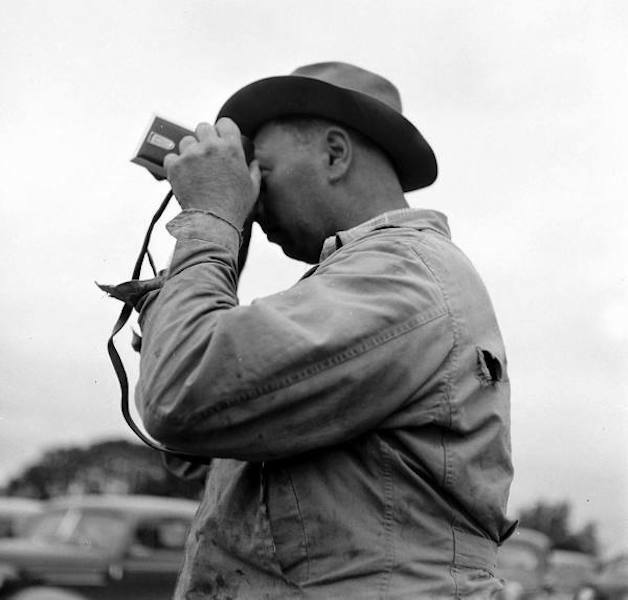 The 3 photos below were shot in Namur Belgium on June 5, 1955 -- the workman who took these shots -- his name is not known -- it seems his identity was purposely not made public, that is very odd for the 1950s --- when information of who saw what was made public. The MYSTERIANS -- who or what is piloting these UFOs? 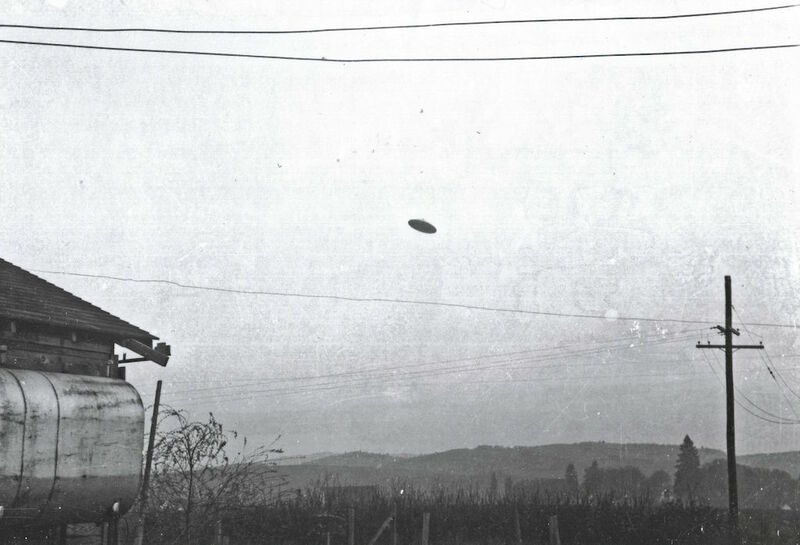 Around 7:30 PM a workman in Namur Belgium, June 5, 1955, took the above and below photos of a UFO that made no noise. 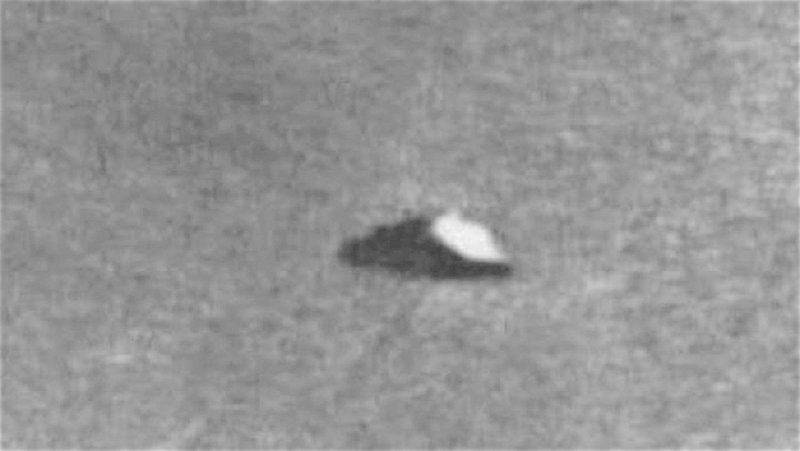 The Flying saucer was seen by many witnesses, it omitted a white smoke trail. As the craft flew through sky, it lost altitude (PURPOSELY OR NOT), then reversed its course and flew back up into its contrail of smoke or ionization? According to the photographer, the craft had four landing pylons under its belly. What does that mean -- had the spaceship just recently landed on Earth for reasons unknown or the vessel was experiencing mechanical difficulties and that is why the landing legs were extended? Or did the craft not have retractable landing gear, or was the witness confused and there were no extensions? 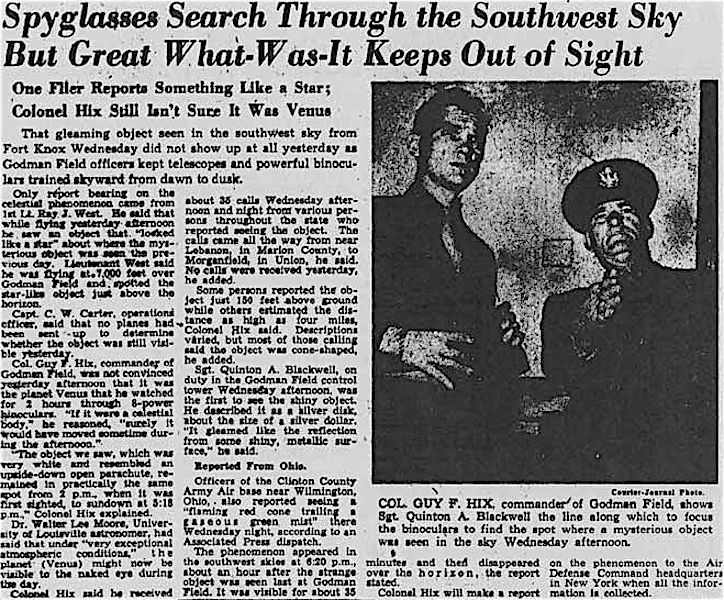 The UFO's color was thought to be a bright silver - gray color. Aliens or Mysterians --- whatever their label is -- what are they doing on planet Earth, and why do they let themselves be seen? 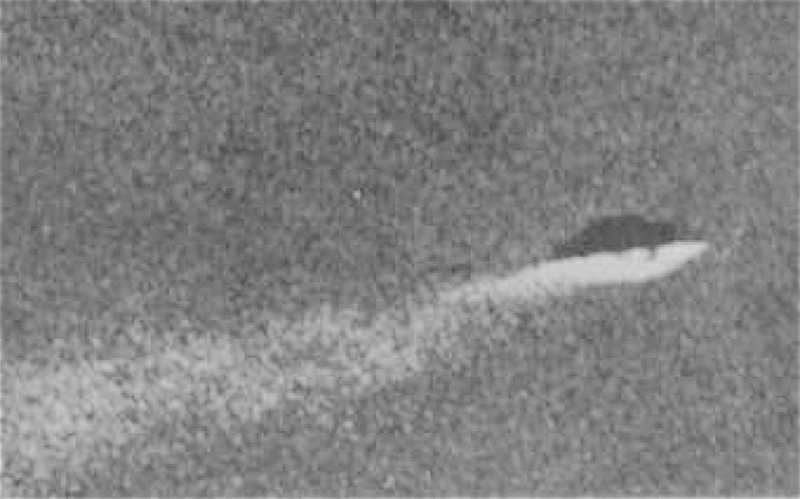 By way of condensation trails, photo and aeronautical experts, estimated that the Namur UFO was at a height of 1500 meters and the ship was at minimum 40 feet in diameter. 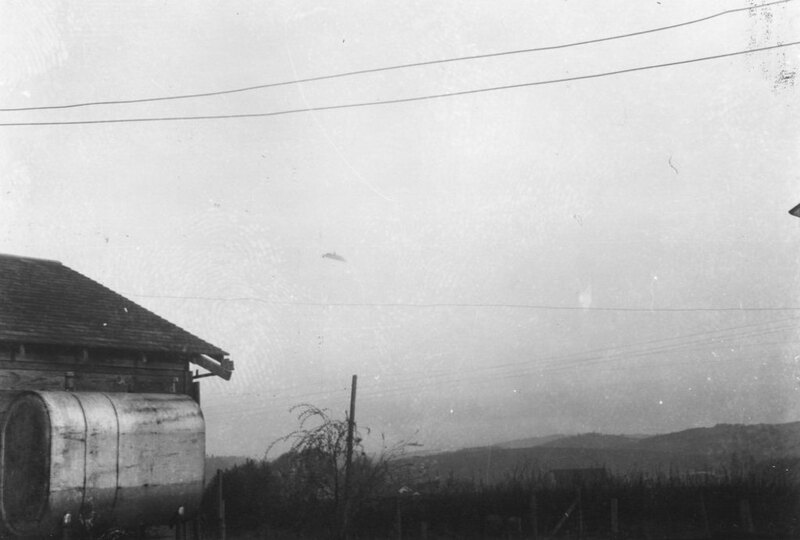 BELOW: UFO over McMinnville Oregon May 11, 1950. 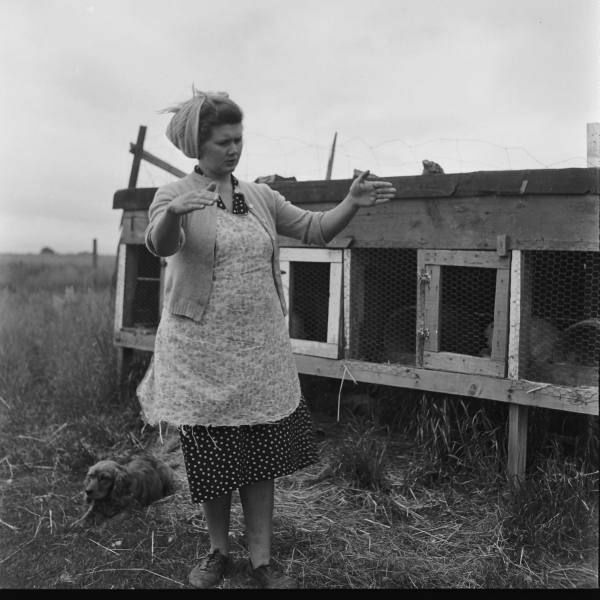 On May 11, 1950 Evelyn Trent had just finished feeding her rabbits at the manner's hutch, when she saw a slow moving UFO. Evelyn yelled for husband (PAUL TRENT), who was inside their farmhouse. 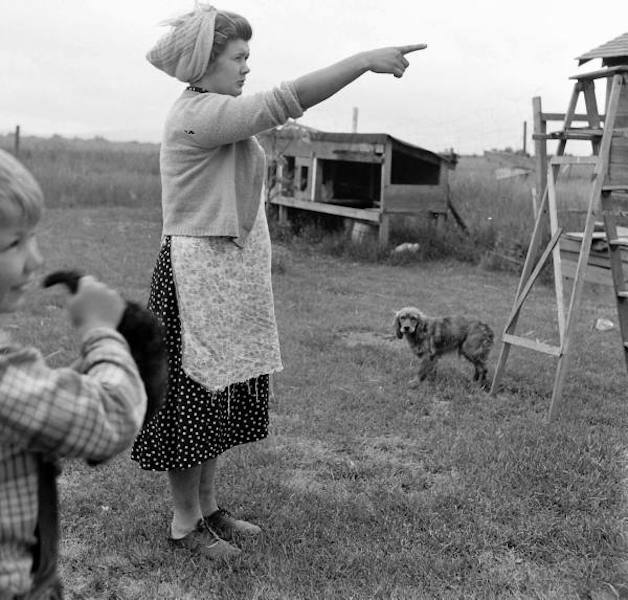 She made it known that something odd was in the NorEast sky, the object was headed toward the Trent farm, which is roughly 9 miles from McMinnville, Oregon. 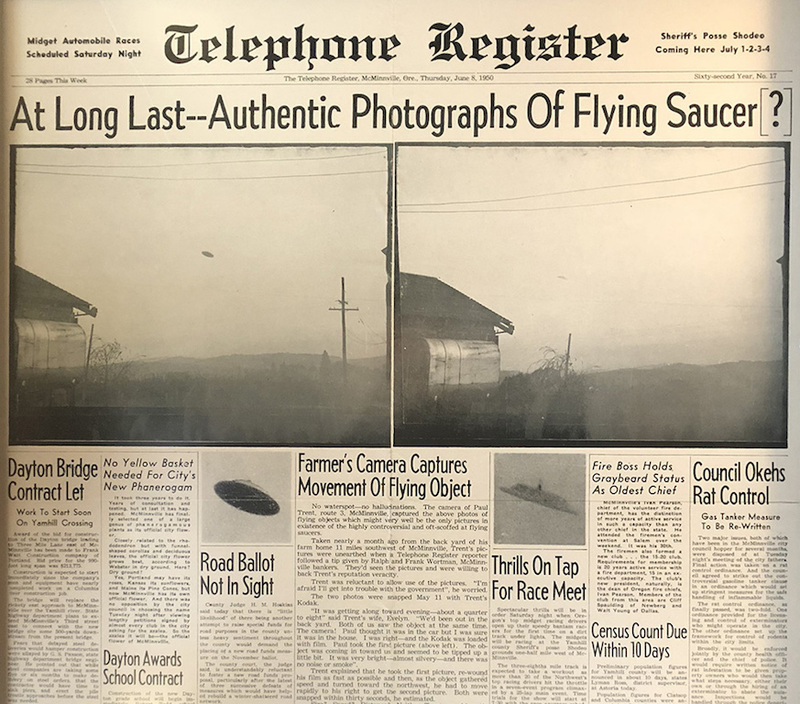 Husband Paul saw the UFO along with his Father, the farmer went back inside his house, grabbed his camera and took two photos of the UFO before the craft sped off. 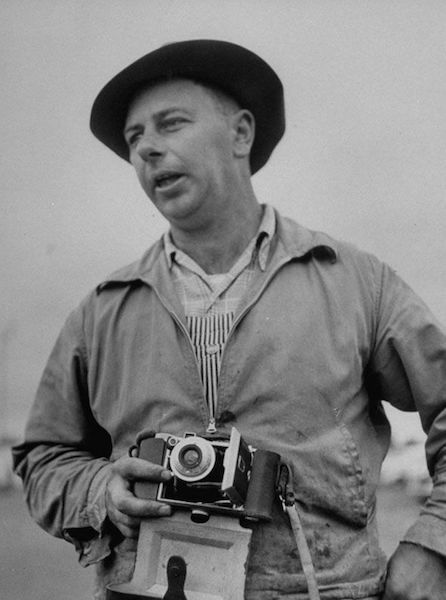 Paul did not develop the film right away --- when he did a friend of his liked the photos and and displayed them at the local bank. 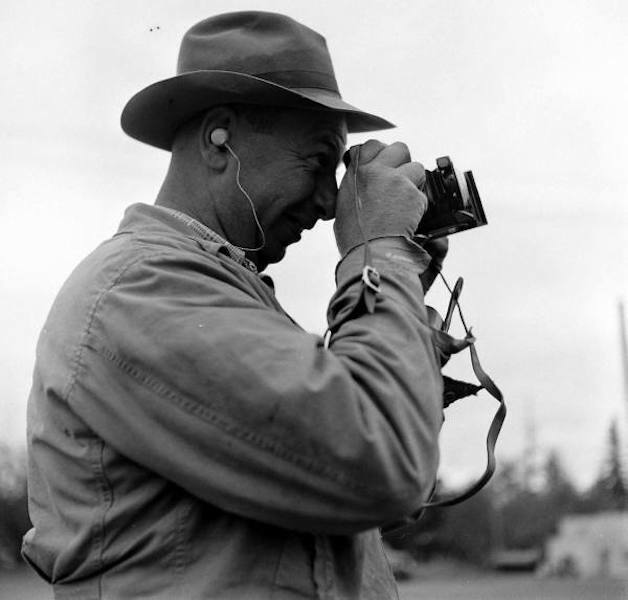 A newspaper man found the photos intriguing, he printed the photos along with Paul's account in the local paper. 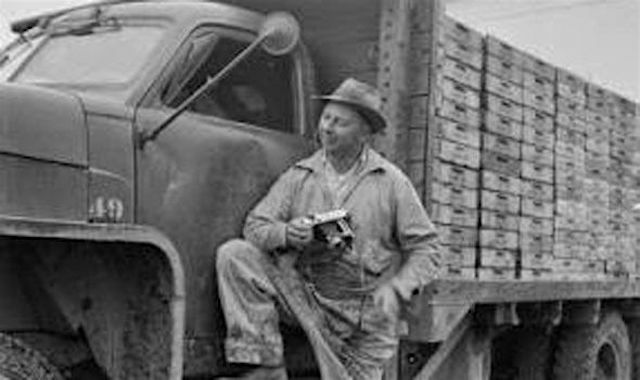 The story went viral --- the negatives were examined by many so called experts -- and through the decades they were lost and found by those that examined them -- Life magazine -- UPI -- THE government's CONDON COMMITEE --- etc.. Why these negatives were always being lost is puzzling, the WEIRD BEARDS think the negatives were so hot as in evidence ---- that the negatives had to be suppressed or doctored by sinister Black Op elements? Paul Trent passed on in 1997, Evelyn Trent in 1998... The name of their son, who is seen in the photos has not yet been discovered by way of research. One wonders if he has any new info or conclusions since this 1950 occurrence. 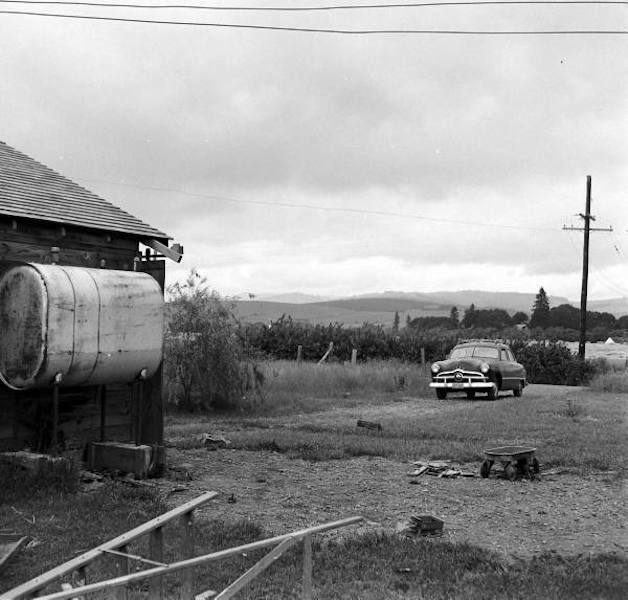 BELOW: VALEDATION -- THE McMINNVILLE 1950 UFO INCIDENT IS LEGIT! 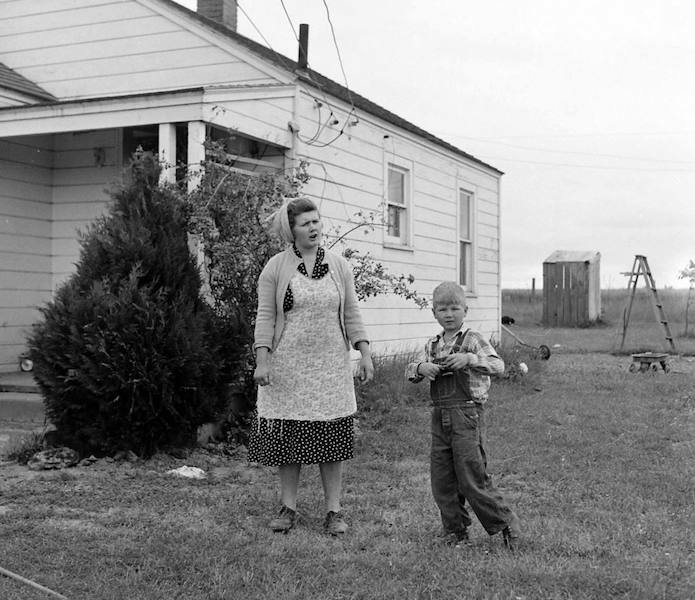 The Trents never made any money off of this happening, they were honest farm people who saw something beyond belief and shared the evidence of this 1950 UFO sighting with the public. Below: More proof Aliens -- The MYSTERIANS exist --- the question is -- with their advanced technology -- why are these beings or different civilizations letting themselves being seen by humanity? It seems they have been very careless in masking their presence, or maybe the the aliens or MYSTERIANS are purposely letting themselves be gleamed?